Hi - I hope I've got the right topic to post on. I downloaded VegetableGarden.pkm from banishedinfo, and I saw that Nomad there is kid1293 here... I can't figure out how to use the garden!! I don't see a separate "garden plot" option, and it won't let me do a tiny crop field behind a house... is there some info sheet to tell me what to build and how, so I can have a veggie garden?? If I should download this Bakery & Garden instead, let me know. Thanks!! You need to buy vegetable seeds from the trader and plant them in the standard crop field. They produce generic inedible vegetables that you have to clean at the sorting table to get random vanilla edible vegetables. Thanks for the clarification! So I buy veggie seeds (did that) make a regular crop field, and also put up a sorting table by a house, and assign someone (is that "Home Grower"?) to clean and get veggies ready? I had a Home Grower assigned, but no sorting table, and he walked around with a question mark over him. Is there any chance of having the straight version of the angled houses put in the V 1.1, and the other new houses? I am so sad because I want all those houses, but also to be able to have a small strawberry backyard plot. With your changes, I cannot have both. 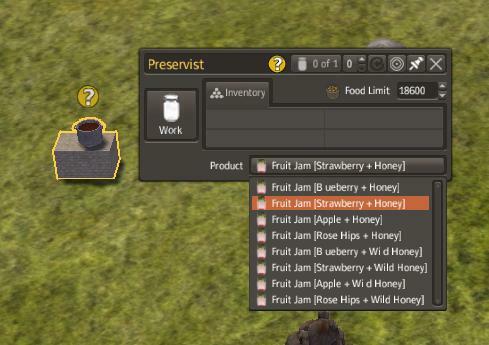 How would I make the strawberry jam in your WorkPlace mod with the small jam maker? Strawberries in workplace make only generic fruit jam. Make good backups! It takes some time but there it is! However, it is silly of me to care so much about the strawberries. I do agree with the points raised in previous posts that with so many foods, the trading port menu gets so full, etc. My Bannies don't need to grow strawberries. So, I am fine to forget about this, and I will go for the version with the many houses. Thanks, Abandoned. I probably can already get the seeds from traders, since I have RKEC, but in case not, good to know about this.